Someone asked me for this recipe so I thought I might as well just share with ya'll. This super simple superfood* recipe is from Beachbody's Ultimate Reset cleanse and is seriously delicious! Simple combine quinoa, coconut milk and maple syrup and mix well. Top with pineapple or other fruits and walnuts. ENJOY! 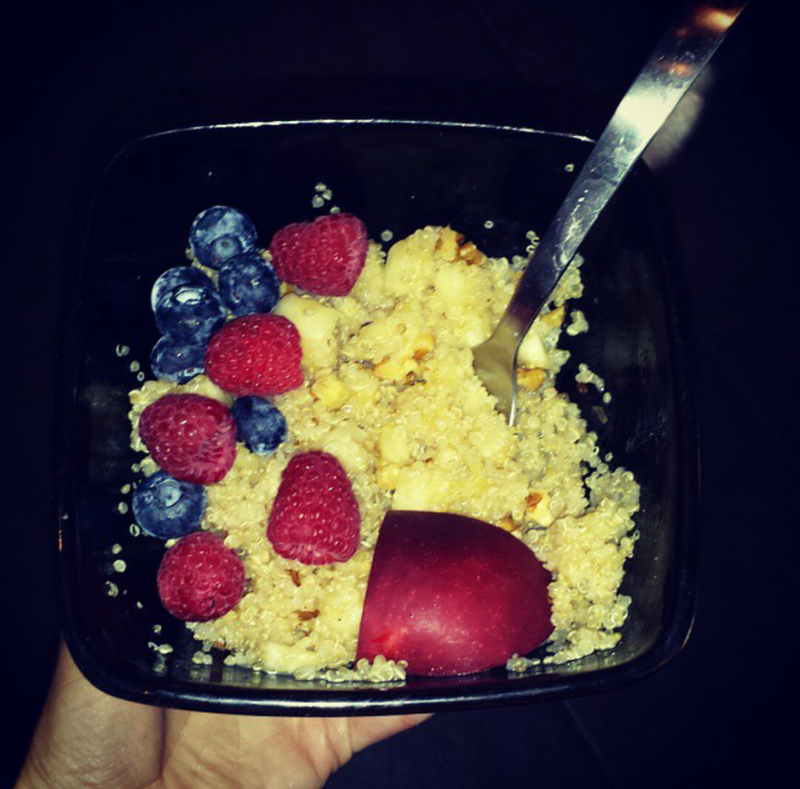 *quinoa is a complete protein and high in amino acids, fiber, phosphorus, magnesium and iron.